Two days after Bharat director Ali Abbas Zafar announced Priyanka Chopra's exit from the project, the film's lead actor Salman Khan shared that Katrina Kaif is onboard the film. "Ek sundar aur shusheel ladki jiska Naam hai Katrina Kaif .... Swagat hai aapka Bharat ki zindagi mein," Salman Khan tweeted Monday evening. 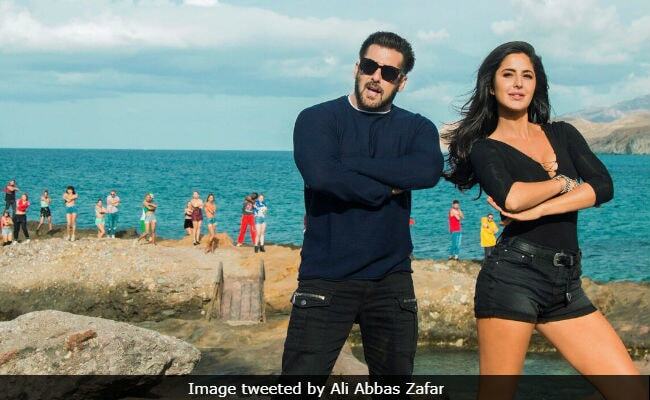 Salman Khan and Katrina Kaif have co-starred in several films such as Maine Pyaar Kyun Kiya, Ek Tha Tiger and its sequel Tiger Zinda Hai, which was also their last film together with Ali Abbas Zafar. Katrina Kaif trended over the weekend as the Internet's choice for Priyanka's replacement in Bharat, which is produced by Salman's brother-in-law Atul Agnihotri. Bharat, a part of which is set in the circus, also stars Disha Patani, Tabu and Nora Fatehi among others. Salman Khan plays the role of a daredevil stunt artiste in the circus, a glimpse of which was shared by Ali Abbas Zafar recently. Meanwhile, several reasons have been cited for Priyanka Chopra's exit from Bharat, which would have reunited her with Salman Khan after a decade. Ali Abbas Zafar in his aforementioned announcement on Twitter hinted her rumoured boyfriend Nick Jonas may have a reason (reports of their engagement kept the press busy for days). Several sources have also claimed that Priyanka walked out of the project because of her fee for the film and the 'last minute additions." Priyanka Chopra's television show Quantico will air its final episode soon and the 36-year-old actress is back in Bollywood as she was spotted working on Shonali Bose's The Sky Is Pink during her latest India visit.